‘FIFA 16’ Ultimate Team Transfer Market Tips Guide. Smart tricks to earn coins and get the best players for a nice price. 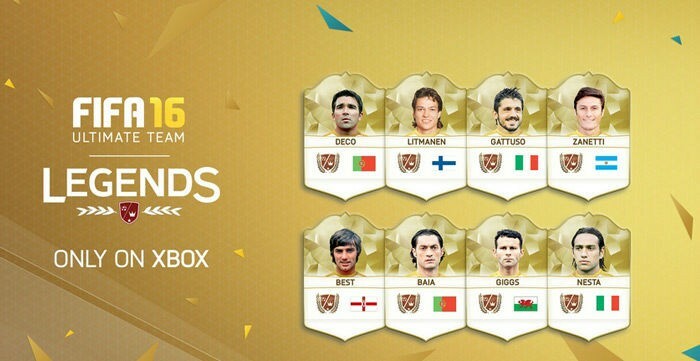 Read everything about FIFA 16 Ultimate Team on this page. The FIFA 16 Ultimate Team Transfer Market Trading Tips are made for you. Get better in FIFA FUT 16 and make enough coins to get the best player cards. And learn some smart tricks to save coins. The Barclays PL is the most popular league in Ultimate Team 16. This means there is a lot of action going on in the transfer market. The Barclays PL defender trading method is a really easy method to earn a lot of coins. Go to the transfer market and select Quality > Gold, Position > Defenders, League > Barclays PL. In the pricing tab: Set Buy now max price to 400 of 450. Press the search button. You’ll see a few players listed up. Buy these players instantly. When there are no players up for sale, select min price in the pricing tag. Set the min price on 150 and search again. Repeat this action and you’ll find players. After buying some BPL players resell the players again. Select the buy now price of 550/600/650 (depends on the day, in the weekend players are more expensive). You’ll easily sell the players with a profit within one hour. During the summer and winter period EA releases new player cards from players who moved to a new club. Those player cards are really popular and valuable. When a player moves to a new club (for example Falcao on the picture) a new player card will be released in FUT 16 as well. This is called a ‘Transferred Player Card’. Obviously the tranferred cards are worth a lot more than the old cards. When buying a player it’s important to check which card you buy (old or new club). Play the Offline Draft – Earn Tradable Items! Many FUT players don’t know this but playing the offline draft is a good way to get good packs and earn coins. Just like the online draft you’ll have to use Fifa points or 15.000 Fifa coins. Select your difficulty and play. It’s important to select a difficulty which guarantees you to reach the final. Winning or losing the final will give you the best packs. Most of the times the packs you get have a value around 25.000 to 35.000 thousand coins. And the items you receive are all tradable. So when pulling a good players or pulling some good items you’re on guaranteed profit. Tipsandtricksfor tested some well known websites who are selling FUT 17 coins. We tested the following factors: Delivery time, pricing, paying methods and reliability. Below here the best Ultimate Team coin sellers. In Ultimate Team 16 there are some good methods to get guaranteed profit. The main goal is to focus on farming (buying) and reselling some players (and managers) who are popular but not that famous with everyone. Try this method and you’ll get profit for sure. Tipsandtricksfor tried some players and managers to snipe and this are the best options. This is one of the most easy player cards to earn coins with in Ultimate Team. It doesn’t matter what time of the day you start trading with this card. Search for Vermaelen (for example) on the transfer market and find out the average selling price. Next search for the card and select the buy now price a few hundred coins lower as the normal selling price. Guaranteed you’ll find some player cards. Retry this method a couple of times per hour for more profit. The second method is also very effective. Select the (for example) Vermaelen card on the transfer market and select the max price on 600 / 650 / 700 coins. Bid on as many cards as you can. 4 out of 10 cards will be yours. Sell the card for a ‘normal’ price just a little below the average selling price. You’ll earn easy coins in just a few minutes. The two methods above can be applied with many other player cards. Just try it! This pacey silver player from Milan is worth a couple of thousand coins. Often this player is up for sale on the transfer market for a just a few hundred or few thousand coins. Minimum price to sell this player usually is around 7000 to 10.000 coins. Vermaelen is a good player to make easy money with. Especially when you’re low on coins. Snipe this card for a few hundred below the average price, and then sell the card for just a little below the average buy now price. 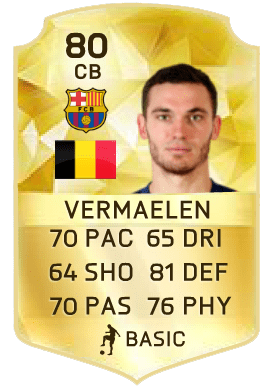 This card is popular because of the good stats, it’s a Belgian and Vermaelen is playing for Barca! 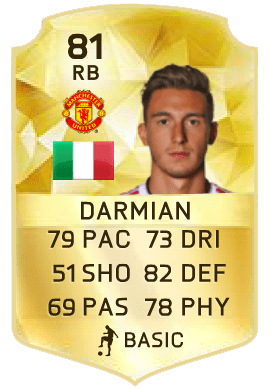 This card is popular but because of his low rating (Normal card:77, Upgraded card: 79) many FUT players sell this card for a minimum price. Especially the inform card (80 and 81 rated) is a good card to snipe. Buy this in form card for around 11.000 and sell it for 50.00 to 70.000!! This player card is a good one to snipe. This player is popular and you’ll be able to sell this player with profit easily. Especially in the weekend this card is worth much more than during the week. 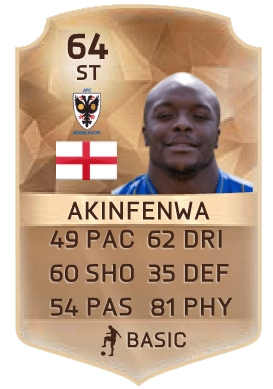 The bronze hero Akinfenwah is really popular in Ultimate Team 16. A lot of players are not interested in selling bronze players and sell these players for a low price. Buy this bronze card and sell it for a couple of thousand coins. After the transfer market ended, FIFA releases a number of upgraded players in Ultimate Team. 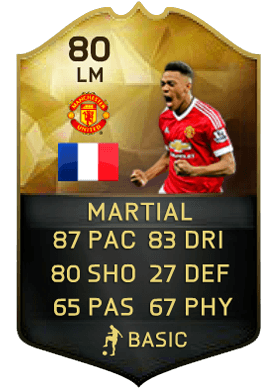 Tipsandtricksfor put together the most interesting upgraded players in FUT 16. The upgraded player cards are really popular and a good way to make coins with in Ultimate Team. After a big investment on the market or you just started playing Ultimate Team the bronze pack method is a easy way to gain coins again. This is how it works. Buy multiple 400 coins bronze pack in the store. 9 out of 10 times you’ll earn a few hundred coins back easily. Almost every time there are a few valuable items or players in the packs. For example bronze player cards with high pace or from a good league (Barclays Premier League). These players will sell for a few hundred. In every pack there are some player fitness cards or a team fitness card. The team fitness card will sell for 1000/1300 and the player fitness sells for 200. Adding the contracts which you can save for yourself or sell the 3 gold contract cards also for 200. Apply this method for a few hours and you’ll make an easy 10.000 coins plus the items you’ve stored in the club. There are two positive aspects of the Bronze Pack Method: 1. Earn easy coins 2. Never buy contracts or fitness cards again on the market, because your club is loaded after this method. For every transfer made in FIFA 16 there is a small percentage which will go to EA. The 5% tax will be deducted of the finale transfer price. With players who are not that expensive the 5% tax is not a big deal. But with bigger transfers it’s important to keep in mind that the tax will be deducted. For example: Put your players up for auction with the 5% tax calculated in the buy now price. Tipsandtricksfor put together a chemistry guide for Fifa Ultimate Team 16. With all the ins and outs to build the best team. There is a smart trick to get players for a cheaper price. Almost every item on the transfer market has a window of one hour. When searching for the player you want scroll to the 50th/59th minute of the transfer window. The items you see are fresh on the transfer market. Often there are people selling players for less money. Apparently not everybody knows how much some players are worth. 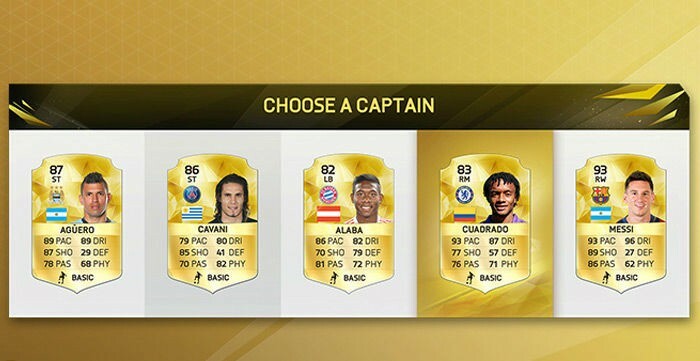 The newest feature in FUT 16 is the FUT Draft. It basically gives the opportunity to play with players you would normally not own or buy. First you’ve to choose between five formations, after that you’ll get five players for every position in the formation. For every position you can choose one of the five player options. This is a really good way to get familiar with new/expensive players and to get used to chemistry in the team. 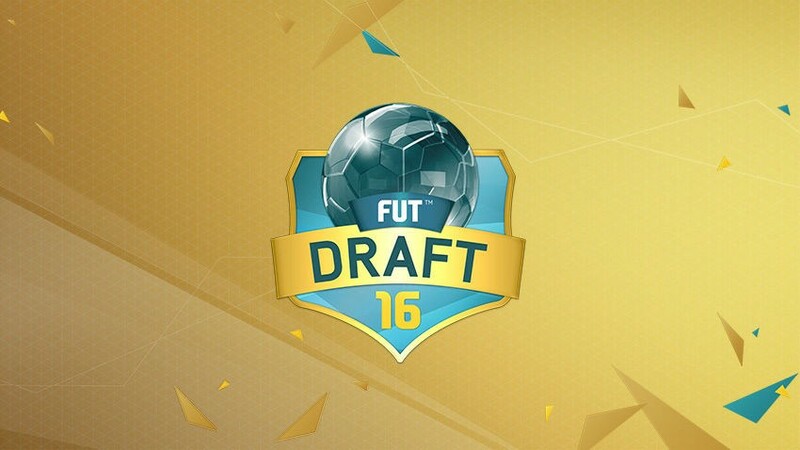 FUT Draft online: Playing a Draft costs 15.000 coins to play the Draft. 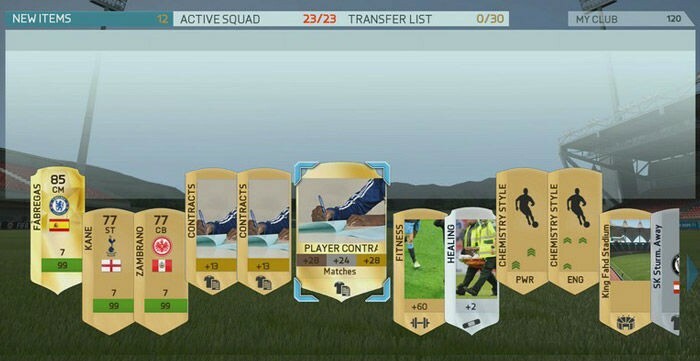 The first time you play FUT 16 you’ll recieve a free Draft Token. Use it online or offline and play for free. It’s better to use the token online because the packs you earn can be used on the transfer market. Basically you have to win four games in the Draft against other players. If you win a match you’ll get a price (gold pack, rare player packs). After every round the price gets higher. When you win the Draft you’ll recieve three packs. When opening packs there is also a new feature; The FUT Draft Tokens. The token gives you a free place in the FUT Draft. This will save you 15.000 coins. Very nice to try to earn some packs! 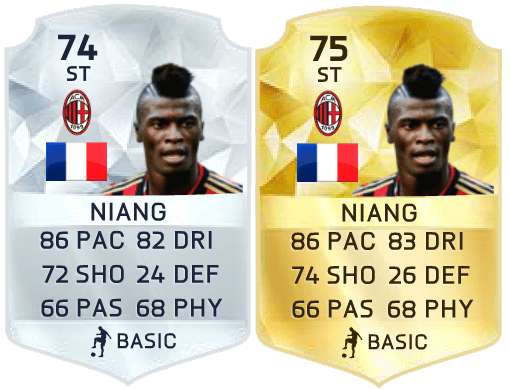 There are some new legends in FUT 16. Fifa added some nice players which bring back some good memories. New legends: Vitor Baia, George Best, Landon Donovan, Gennaro Gattuso, Ryan Giggs, Alexi Lalas, Jari Litmanen, Alessandro Nesta, Javier Zanetti. Maybe you’ll be able to try some of them in de Draft! Finally EA did something about the terribly slow gameplay when opening packs. In the last few years it took ages to move players to club, put on transfer list and so on. FUT 16 has a new pack management feature which give is very helpful and saves a lot of time. Our advice; go try it out! Another new feature is the FUT 16 Swop Mode. In just a few moves you can easily swop players and see what it does for the team chemistry. The swop mode also works a lot faster with applying consumables. Another perfect time saver and very helpful.